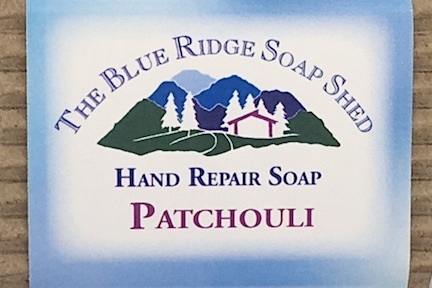 Patchouli Hand Repair Soap is always one of our most requested soaps, so Patchouli lovers relax, we've got your Patchouli Soap! For many centuries the strong earthy scent of Patchouli has been used as a perfume, and as aromatherapy for its relaxing and meditative effects, often enjoyed in pungent incense. Patchouli is also reputed to be an aphrodisiac, which is probably why so many people grew to love Patchouli during the Free Love '60s! 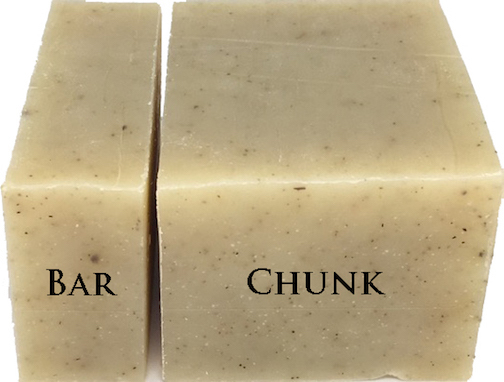 Patchouli Soap is good for dry, itchy skin, especially in our shea butter soap recipe. 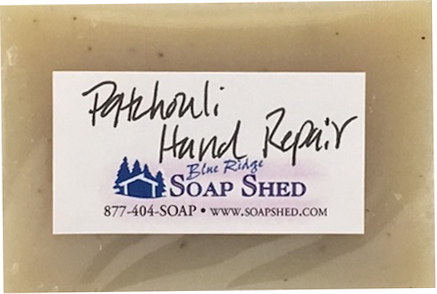 Patchouli Hand Repair Soap is our shea butter and cocoa butter hand soap to moisturize dry hands. 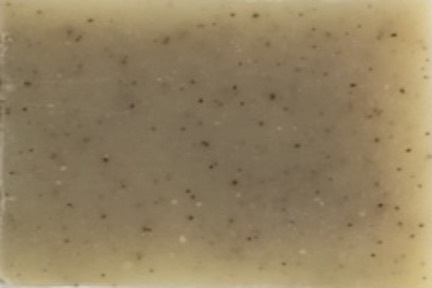 Our Appalachian Crafters' Hand Repair Soaps are made with Shea and Cocoa Butters, Comfrey-infused Olive Oil, and medicinal herbs of Nettles, St. John's Wort, Marshmallow and others traditionally used to promote healing. All Crafters' bars are colored some shade of green by the Comfrey leaves, and flecks of ground herbs can be seen throughout most bars.